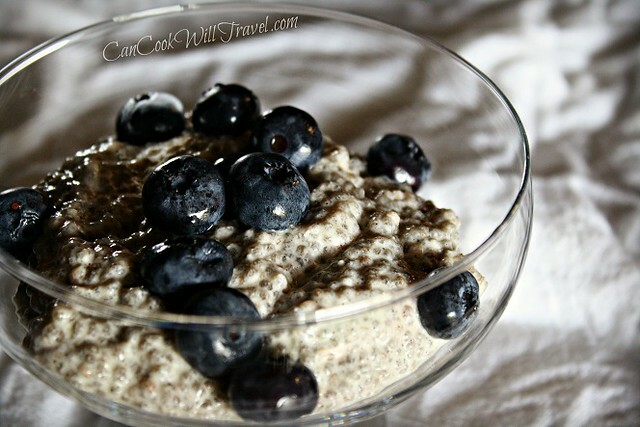 You are here: Home / Blog / Healthy / Vanilla Chia Seed Pudding…I Might Be Obsessed! 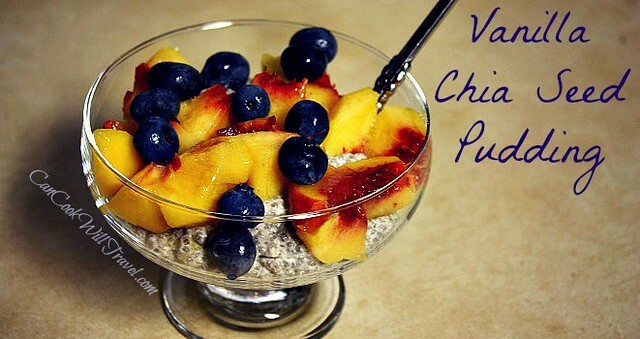 Vanilla Chia Seed Pudding…I Might Be Obsessed! I gotta hand it to my sister…this Vanilla Chia Seed Pudding has been one she’s been raving about for several weeks now. Thanks sis for going on and on about it, because it finally got me to make it. 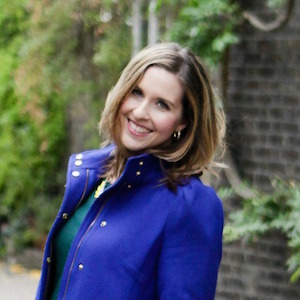 I now get it – it’s absolutely awesome! We have to hand it to blogger & lover of living a healthy life, Elizabeth Rider, who shared this Vanilla Chia Seed Pudding on her blog…so happy she did! This pudding is super simple to make, and it ends up being a great dessert or snack. So far I’ve snacked away on it, quite happily. You’ll begin by blending filtered water, maple syrup, vanilla, cinnamon and cashews in a high speed blender until it’s smooth and creamy. Enter my mom’s Vitamix…which I’m now in love with. It blended up this cashew/water mixture in no time. Then the cashew mixture gets chia seeds whisked into it. Put the chia seed pudding in some containers and refrigerate for at least 2 hours. Then enjoy away. It’s seriously that easy. I used mason jars, which has worked really well, but you can put it in whatever containers you’d like. The glass helps it chill faster though, so that’s a plus. This pudding has great flavor and is really good on its own, but I love it with fruit on top. So far, as you can tell, I’ve tried blueberries and peaches, and both were stellar. And I love that Elizabeth mentions changing up the flavor with lemon zest or mint or whatever you crave. Can’t wait to try this out with even more combos. Plus you have to appreciate a truly healthy snack. It’s packed with goodness from the cashews and chia seed. This is the first time I’ve done any cooking with chia seeds, although my mom has made chia gel plenty of times and put it in cakes to increase the “good for you” factor. If you aren’t familiar with chia seeds, here is a link to the top 10 reasons to add it to your diet, including adding fiber, omega-3 and it combats diabetes. If you’re looking to add some more healthy snacks to your repertoire, then grab this recipe and step by step instructions here. It’s fast, easy, delicious, and completely guilt-free. Enjoy!! One year ago: Did Someone Say Salted Mudslide Cookies? Oh Right, That Was Me!